The Social Tote from Carolyn Friedlander is an awesome project. End of story. You know me and small projects. We get along as well as clothing and zippers and the neighbour that thankfully moved out this summer. But Carolyn gave me this pattern after seeing them in person at Market. They really are pretty cool. And handy. And not difficult to make at all. The projects in this group give us an opportunity to slow down and to enjoy the process as much as the result. Not only a back-to-basics program, this is also a program to strengthen our skills and our relationships with each other. These projects are things we can take with us and enjoy with others. We'll bring them to our guild meetings, on trips, or wherever our busy lives take us. They require no chargers, adapters, or electricity and will allow us to press pause on the realities of everyday life and enjoy what we are making. It was that inspiration that pushed me to make this little tote. 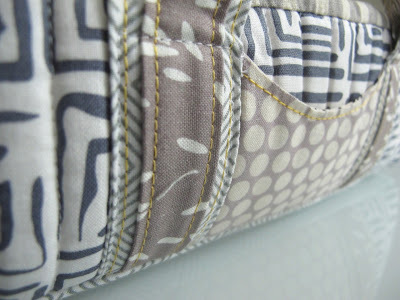 The pattern is a collaboration with Anna at Noodlehead. It is detailed and well written. As I'm not much of a pattern follower, when I do follow one it must make sense and move methodically through the steps. This one does. 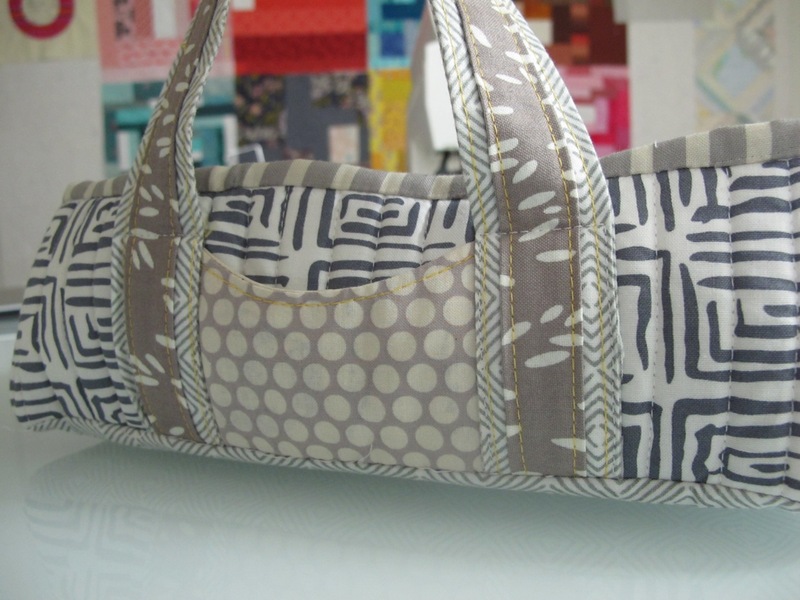 And if we ignore that I completely missed the fact I was supposed to interface all the fabric for the inside of the tote and the handles I followed the pattern exactly. There is a pin cushion in the pattern too, but I'm waiting for the pet store near me to have crushed walnut shells in stock again. 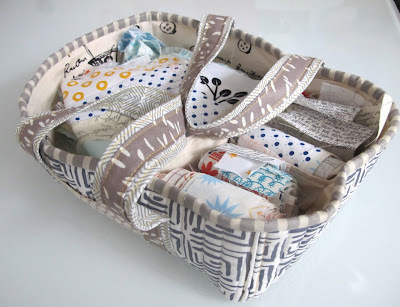 Already the tote has found a purpose in sorting and holding bits for my latest project, a baby quilt. 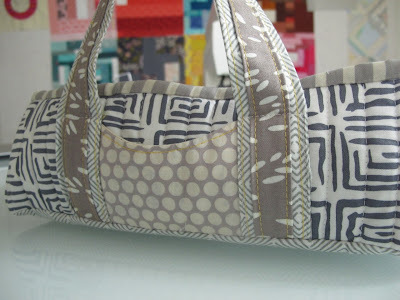 I'm pretty sure another tote is on the agenda precisely for my ongoing hand sewing project. This is just what I need. And you too, I bet. lol, I'll bet you follow a cooking recipe about the same way I do too ! I love your fabric/color choices. This does look like something I would like to make but deeper maybe. The quilts for Calgary look wonderful. I've been wanting to make this. On the list. 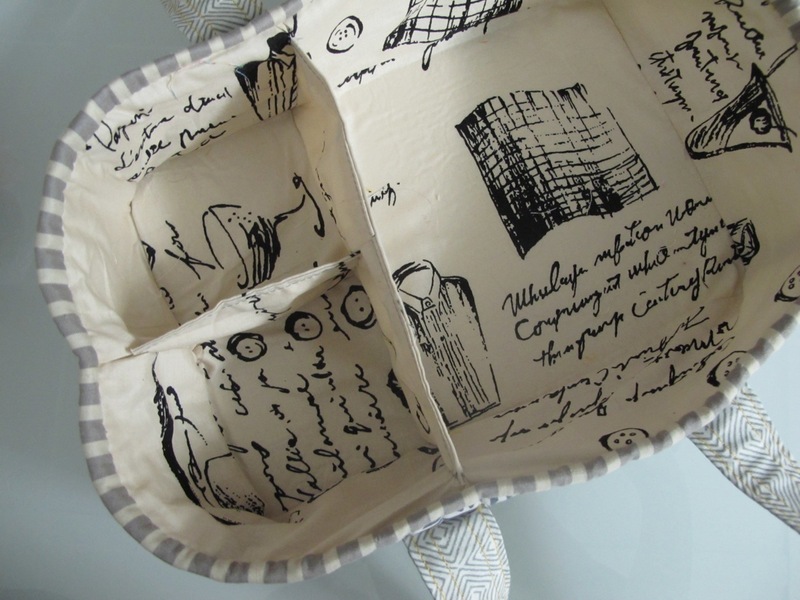 Love your Social Tote. I'll have to try to find that pattern. I hope it's available as a downloadable somewhere. My attention span is short and I get too excited to wait for the pattern by mail.